Today, to celebrate, Timex unveils the Philadelphia Eagles Super Bowl 2018 watch as a part of the brand’s new Tribute Collection. 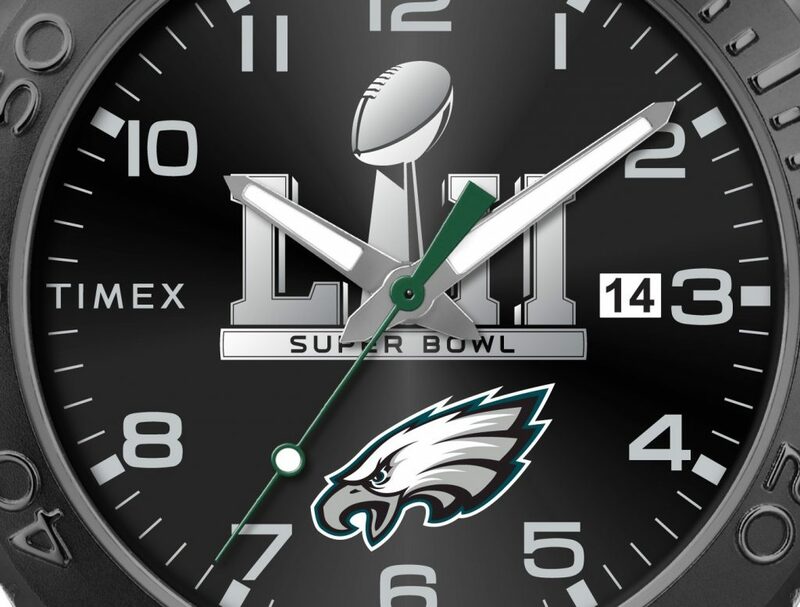 The dial of the watch features the LII Super Bowl markings and the Lombardi Trophy in the center, with the Eagles logo at 6:00. The Timex logo takes a backseat to the winners, with a small placement at 9:00, opposite the date window at 3:00. 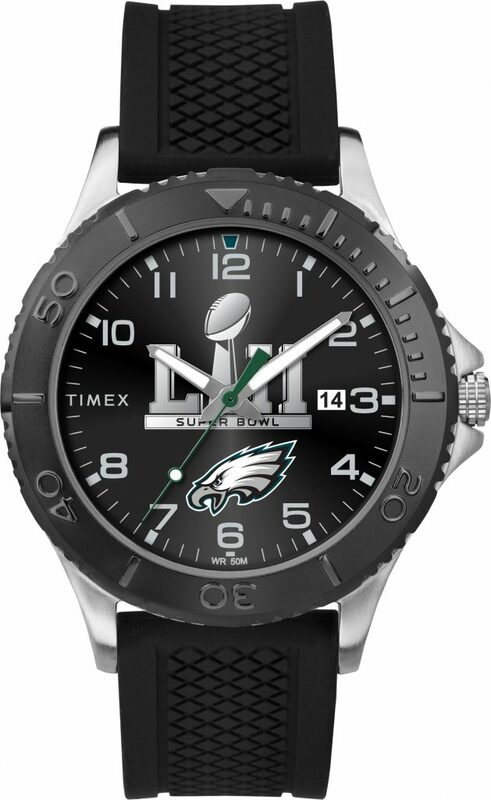 Timex Eagles Super Bowl watch with Super Bowl LII, Vince Lombardi Trophy image Eagles logo on the dial. Made with a stainless steel case, soft silicone rubber strap, and an easy-to-use QuickDate feature, this 42mm watch will satisfy Eagles fans’ desires to keep the win going year after year. The watch, which is water resistant to 50 meters, features an enamel top-ring and corn protector and has a scratch-resistant mineral crystal. The quartz movement houses a batter with up to 10-year lifespan. It retails for 64.95. This watch is part of Timex’s Tribute Collection that pays homage to the NFL. There are there other Eagles watches in the series, including a Gamer Green version for $69.95, a Citation model for $79.95, and the Acclaim model for $89.95. Timex has officially teamed with the NFL to create watch of each of the NFL teams.